I don’t like beer. I don’t like ale. It’s just a personal taste thing. Sometimes, however, I wish I did like ale, because what I really do like are the packaging and graphics on ale bottles, especially in October. In the weeks leading up to Halloween, shops are stocked with Halloween-themed merchandise. Images of ghosts, witches, and vampires ornament paper plates, tablecloths, and soap and tissue dispensers. However, this seasonal packaging is rarely reflected in food and drink items. Ale is the big exception. At the first hint of autumn, liquor stores begin to fill with assorted brands of ale sporting labels featuring mystical, magical, and witchcraft-themed graphics. Around this time, at least in the United States, seasonal brands of pumpkin ale also appear and their packaging is especially Halloween-themed. I confess to being among those people who will purchase products I never intend to use or consume because I find their packaging irresistible. 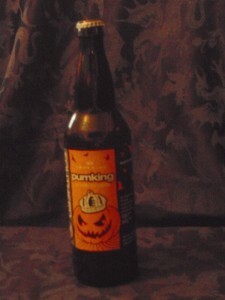 An example is a bottle of Imperial Pumking—ale brewed with pumpkins– from the Southern Tier Brewing Company of Lakewood, New York. The bottle label describes its contents as “bewitched and brewed with Pagan spirit.” Also according to the bottle label, Imperial Pumking Ale is “brewed in the spirit of All Hallows Eve, a time of year when spirits can make contact with the physical world and when magic is most potent.” How could I not purchase it? Transcending the Halloween graphics and magical references, however, something else sold me, too: personal guilt. Regardless of how large and comprehensive my encyclopedias may be, someone or something is inevitably omitted, if only because of insufficient space— any traditional book only possesses so many pages. Thus there was a culling process to determine, for example, which spirits were included in The Encyclopedia of Spirits, and which were, unfortunately, not. Had it been possible, I would have included many more spirits. Perhaps they await Volume 2. But in the meantime, I feel guilty for leaving them out. Pumking Ale’s bottle describes the product as “an ode to Púca” and so I was instantly smitten. Púca (or “the púca”) is among those spirits who never made it to the final version of The Encyclopedia of Spirits, but only because of constraints of space. Thank you, Imperial Pumking Ale, for giving me the opportunity to spotlight this powerful and ancient spirit. 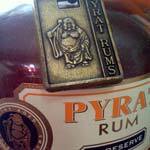 The name Púca is often translated as “Irish goblin” however this spirit is not limited to Ireland. He is accurately described on the Imperial Pumking Ale label as a “creature of Celtic folklore.” Some scholars theorize that his origins transcend or precede the Celts. The Púca may be a particularly ancient, indigenous European spirit, as similar names for a similar being appear throughout the continent. In this blog post, I will use the same spelling as that on the Pumking bottle, but the name is also commonly spelled puck, puka, puca, pwka, phooka, and pooka. In the Channel Islands, it’s spelled pouque. Depending on who’s arguing the point, the púca may or may not be the same being as Cornwall’s Bucca. Again, depending on perspective, there may be only one Púca or the name may refer to a type of spirit, in which case there may be many individual púcas. Alternatively, there may be one, grand Púca, who supervises a clan of Púca spirits, similar to the hierarchy of La Madama spirits. Some of the confusion regarding the Púca’s identity or origins may derive from his prodigious shape-shifting skills. The Púca may appear in the form of a goblin, a goat, a bull, or as a raptor with a truly impressive wing-span. The Púca may also take on equine form, similar to the Kelpie. This equine Púca roams the nocturnal countryside— a wild, dark horse, with glowing sulfur-colored eyes, who may literally and forcibly take people for a wild ride. He also tramples crops, kicks over haystacks, demolishes fences and gates, and frightens chickens badly enough to make them cease laying eggs. 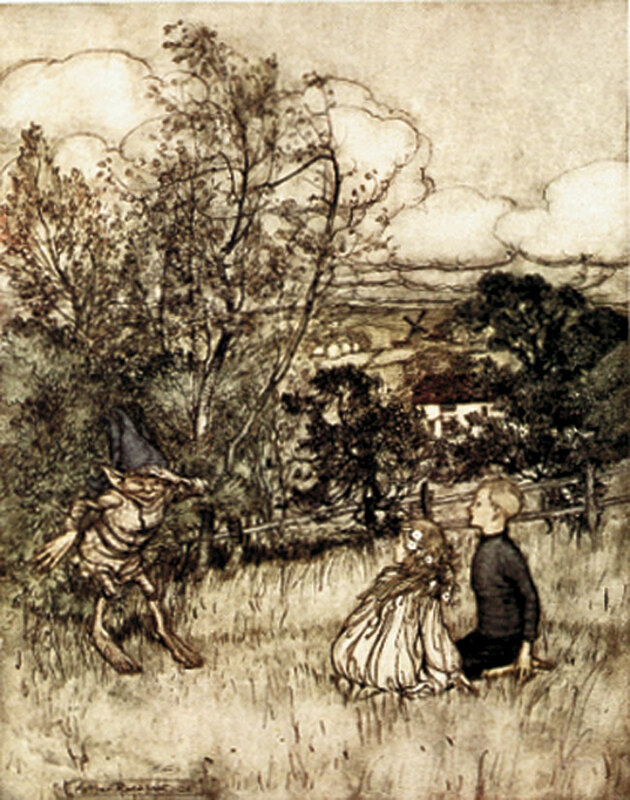 The Púca bears a long reputation as a trickster. 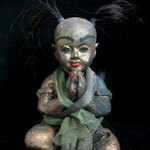 The greater the Christian influence and orientation of his mythology, the more diabolical the Púca tends to appear, however this spirit can also be benevolent and helpful. The Púca’s appearance on Imperial Pumking Ale is extremely appropriate, as he is genuinely and traditionally associated with Samhain, the ancient Celtic harvest festival that is among the precursors of the modern Wiccan sabbat, as well as of secular Halloween. Gifts were once left for Púca on Samhain Eve at Croagh Patrick in County Mayo, Ireland. I suspect he might not object to a libation of Pumking Ale. Legend says that on this particular night, the Púca emerges from Croagh Patrick to prophesize to the devotees waiting there. As its present name attests, Croagh Patrick is now powerfully associated with Saint Patrick, however, it was considered a holy mountain long before the arrival of Christianity in Ireland. One legend suggests that it was from here that Patrick banished Ireland’s snakes. November 1st is the Púca’s feast day. 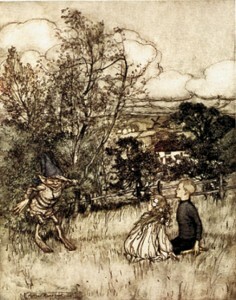 Although often nocturnal, the Púca is out and about on this day and reputedly in sociable, good humor. On November 1st, the Púca willingly answers questions, offers advice, and provides reliable prophesy, if requested. • More information about the Kelpie and La Madama may be found in The Encyclopedia of Spirits. • More information about Saint Patrick may be found in The Encyclopedia of Mystics, Saints, and Sages. Did You Enjoy This Page? Please Share it With Your Friends!